During winter many people struggle with the issue of grooming over this time. People worry their dogs will get cold if they get them cut too short and some will skip a groom and let their dogs grow in a bit more coat than usual. One of the downsides of that is the matting that can occur if the long coated dogs are not kept brushed out especially with their extra length. Jim’s Dog Wash often does quite a few clip offs at this time of year as customers suddenly find the coat felted painfully to their dog’s skin. There are simple ways to prevent this from happening. 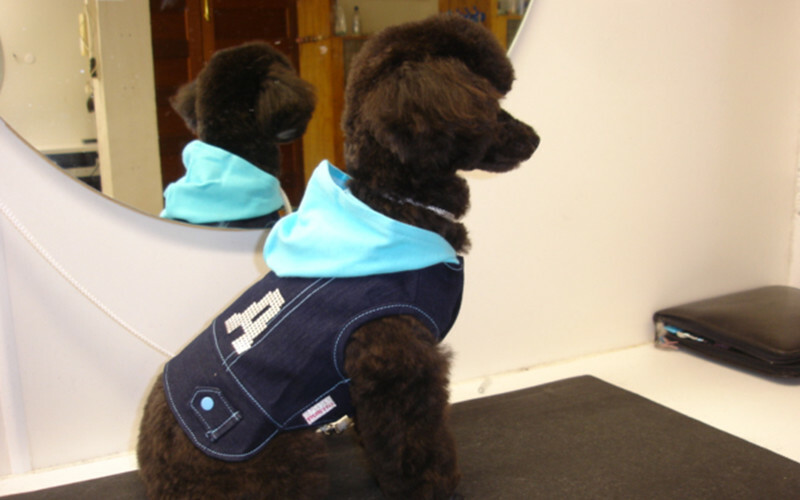 Remember when putting jackets and jumpers on your dog to brush the coat well every time you take them off. The friction of the clothing and also from harnesses quickly knots up the coat. When your dog goes outside and gets wet, rub dry with a towel in an up and down movement and then comb out the coat. Even if it is not completely dry a good combing will stop it matting up. Keep your regular grooming schedule but ask your Jim’s Dog Wash Franchisee to trim the coat slightly longer than usual if you are worried about the cold, that way any split ends that matt easily are being trimmed off. It is also a good idea to request the feet trimmed shorter than normal to make it easier to keep them dry. This may not have the usual look you are used to, but it does help when your pup races inside after being out in the mud. One thing that is worth knowing about woollen coats such as Poodles and Bichons is that pound for pound, dog’s wool is four times warmer than sheep’s wool and most times it is more important to make sure your dog doesn’t overheat in hot house with the fire going. On a final note, just a reminder that if you are drying your dog with a hair dryer, make sure it is kept on a cool setting and do not go too close to the coat as dogs are so sensitive to heat and can burn easily.